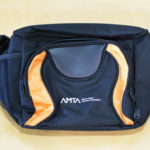 Welcome to the AMTA products page! Below is a list of available products and merchandise. If you would like more information or are interested in a making a purchase, please call Angie Parent at 403-214-3425 or email angie.parent@amta.ca. This durable Auto Safety Bag’s main cavity has protective PVC reinforced sides, with full zipper opening and Velcro strip to adhere to vehicle carpet. 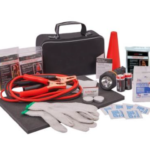 Includes: 8′ 10 gauge CCA Booster Cables w/ instructions, Rubberized Flashlight w/ 2 Mercury-free, heavy duty “D” Batteries, Signal Cone for Flashlight, 23 pc. First Aid Kit), Emergency Poncho (lightweight, reusable), Safety Vest, Emergency Blanket (reflective Mylar: 60″ x 82″), 2 Tea Light Candles, Safety Matches, Cotton Knit Gloves, Call Police Banner, Foam Knee Pad (10″ x 14″), 6 Moist Towelettes, Shop Cloth, Survival Instruction Card. Set includes Color Pop Bound JournalBook, Ambassador Square Ballpoint pen, and 2-piece Journal Gift Box. Built-in elastic closure. Ribbon page marker. Expandable accordion pocket. Includes 96 sheets of lined yellow paper. 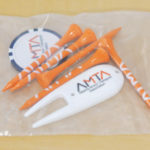 AMTA debossed logo on notebook and gift box, black AMTA logo on orange pen. Black hoodie with AMTA 80 logo, available in a variety of sizes. 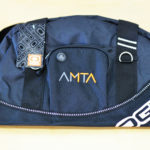 Black, snap-back ball cap with AMTA 80 logo. 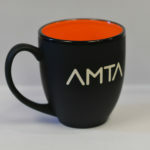 Smooth matte black ceramic mug, with deep etch AMTA logo. Individually boxed. 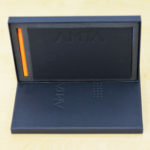 Color: Matte Black/Orange. Zippered closure. Gusseted document pocket. Slash pocket. Pen loop. 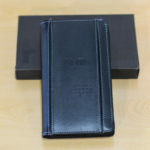 Six business card holders. Two USB memory flash drive holders. Two mesh ID windows. Gusseted elastic media pocket. Includes 8.5″ x 11″ writing pad. Size: 13″ H X 1″ W X 10″ L. Debossed AMTA logo. Includes: 5 2-3/4″ tees, 1 poker chip ball marker, 1 plastic divot repair tool in individual polybag. 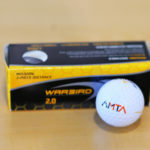 Connect with Callaway Warbird 2.0 Golf Ball the and watch it scream down the fairway for max distance. The two piece construction is designed for the bomber looking to crush it off the tee, with low spin. Warbird 2.0 balls feature a fast core, a durable Ionomer cover and the patented HEX Callaway Aerodynamics, that delivers super/long ball flight every time. The long-hitters will enjoy the lasting durability and deep distance that the Callaway Warbird 2.0 Golf Ball offers! Includes three balls. Top padded grab handles, Main zippered compartment, Front zippered pocket, Side grab handle, Detachable, adjustable shoulder strap, Audio pocket. Color: Black. Bottle is double wall 18/8 grade stainless steel with vacuum insulation. Inner wall is plated with copper for ultimate conductivity to keep drinks hot for 12 hours and cold for 48 hours. 17oz. Color: Neon orange. This leather travel wallet can double as creative gift packaging. Fill it with tickets to special events, travel vouchers and itineraries, or gift certificates before giving it to customers or employees. 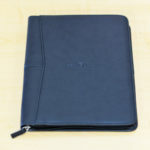 It features a removable passport holder for added flexibility and convenience when traveling overseas. Pocket with ID window for driver’s license. Ticket sleeve. Button-down coin pocket. Multiple card slots. Pen holder. Zippered closure. Color: Black. 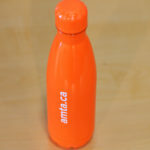 Debossed AMTA logo. Copyright 2016 © Alberta Motor Transport Association | All Rights Reserved.